The team are now looking for people with sustainable homes to sign up and let visitors into their homes to view their work and learn from their experiences. “We are proud to provide ongoing support to an event that inspires and educates local residents and has a tangible impact in helping them see first-hand how they can make their homes more sustainable, fit for climate, comfortable to live in and cheaper to run,” Sustainable House Day Coordinator Andia Cally said. 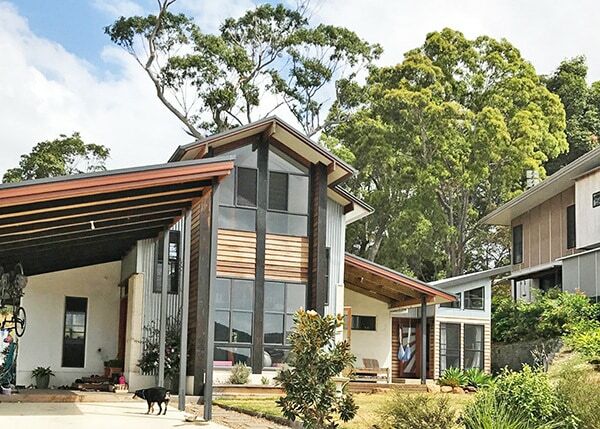 Sustainable House Day is a national event that has been running for more than a decade and has seen the majority of visitors taking steps to live more sustainably as a result of their experience. A recent national survey showed that 86% of Sustainable House Day attendees shared what they learned with friends and family, 56% were inspired to incorporate sustainable renovation or design into their builds and 32% had implemented what they had learned within a month of attending the event. Andrew and Meg Wadsworth opened their hemp house for the second time last year and were joined by designer Jaye Irving. He won second prize in the 2017 Sustainable House Day Design Competition for the hemp design, the first of its kind in the region. Andrew estimates they had between 50 to 100 people visit last year. Besides putting their profile online and working out who would manage which timeslot, he said there wasn’t much organisation involved. “It was an easy way to meet people in the community that had similar values around building,” Andrew said. “I think that’s the biggest part, from the visitor’s perspective, is to see the possibilities for real, rather than just looking at a drawing or model. It’s good to touch it and feel it and see what’s possible. All participating homes must have a minimum of four sustainable features. This can include anything that contributes to sustainable lifestyles, energy saving and healthy home practices. If you would like to showcase your home at the Sustainable House Open Day please register on the national website https://sustainablehouseday.com/submit-your-house/.